This Noise Is Ours: Dephosphorus/Wake - Split 7"
This 7" dropped into my inbox last week and got me pretty excited. Not least, because it's a new release from 7 Degrees Records. 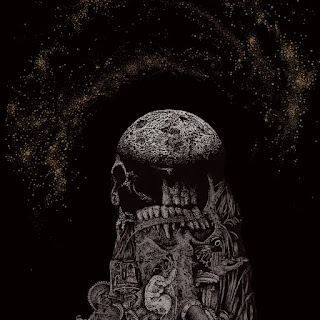 Dephosphorus are from three-piece from Athens, Greece and describe the genre as Astrogrind. Wake are a grind band from Calgary. Canada. Both bands contribute three tracks to this 7", which has literally just been released. Side A is made up of three rapid-fire tracks from Dephosphorus. Unit is a huge sounding, wrecking ball of a song lasting for a minute and a half, and Dephosphorus even manage to inject some rock n roll influence into their sound. The Final Computronium begins in the same vein, but morphs into a more outright grind blast. The accented vocals of Panos Agoros making it sound even heavier. 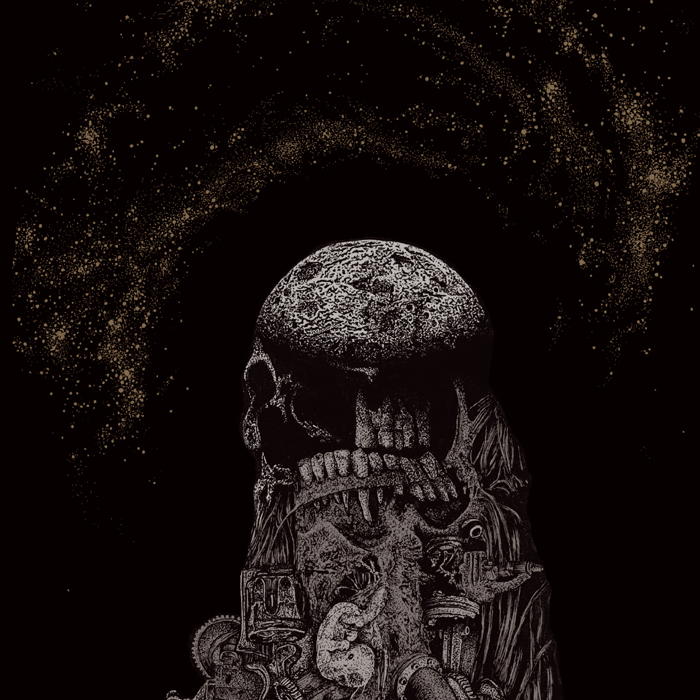 The Cosmologist starts off with a spoken word passage sitting atop of their instrumentation before one final lurching blast that completes their half of this split. Wake's side begins with Society of The Gun and immediately has a more rough and ready sound. It sounds just as heavy though, but the organic sound and fraught vocals make it sound very different. Thirst underlines Wake's punkier edge and some of their subtle intricacies that sit in the mix. The drums in this song are utterly chaotic, especially when the cymbals are left to crash wildly. This draws us to Veil Of Odin, which is both Wake's last track and the last song on this 7". What an ending it is too, utterly manic, fast and evil sounding. The vocals here sound even more possessed and full of energy. Wakes settle proceedings down mid-way through by altering the pace of their delivery, which in turn shows they too can groove. What a record this is. It takes multiple listens to fully appreciate, but both bands reward with skill and a rip-roaring morsel of grind at it's best. As with other bands that 7 Degrees Records have released material with, both Dephosphorus and Wake make perfect bedfellows on what is an uncomplicated and blasting release. You can get in touch with 7 Degrees Records via Facebook at http://www.facebook.com/pages/7DegreesRecords or MySpace at http://www.myspace.com/7degreesrecords to order this record.